Sustain your complex business products through Agility and Scrum Development. 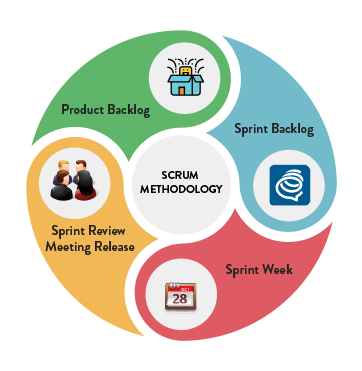 Scrum Development forms a part of the Agile Framework for development of software applications. This development method emphasizes on how to manage the work products or tasks within a team. Derived from the Rugby match, this term is used to empower the team through distributed tasks and their accountability. This approach completes the work in sprints or iteration and finishes the work product faster than other methods. At AResourcepool, we have designated roles and teams to work on Scrum Development Method for specific clients and scrum meetings take place in those projects regularly. This method has benefitted us in delivering projects on time with improved client satisfaction ratio, positive feedback, and communication within the team as well as with the client. The client has the flexibility to make changes and we, on the other hand, can deliver the tasks quickly through this development method. For a holistic and flexible development strategy, apply Scrum Method to your projects and get better results.